 "With late walking and a bit of poor balance as well as the fact that Harry is of Jewish descent, we pushed for the test for Usher Syndrome in 2013 which resulted in a positive test result in February 2014 for Usher Syndrome type 1F. 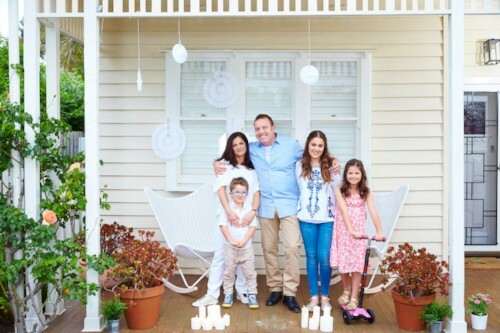 We are all here and determined to do ourselves out of a job in fundraising and research into a cure for Retinitis Pigmentosa and Usher Syndrome." 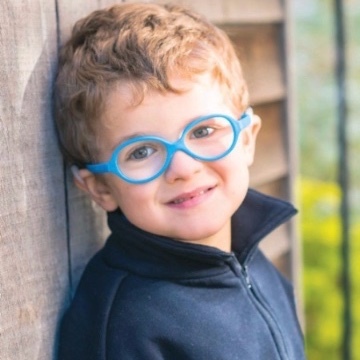 This beautiful five year old boy is Harry Gabriel Feller, born in June 2011. We found out Harry was congenitally deaf when he was seven days of age. This was through the early EEG brainwave testing procedure which has become standard in Victorian and subsequently Australian hospitals at birth. We knew we were on a solid path towards the Cochlear Implant and towards Harry hearing and speaking almost immediately on account of the services which were made available to us and this was key not only for Harry’s subsequent flawless treatment but as a family and two parents of a new-born baby, this made everything so much more manageable. With late walking and a bit of poor balance as well as the fact that Harry is of Jewish descent, we pushed for the test for Usher Syndrome in 2013 which resulted in a positive test result in February 2014 for Usher Syndrome type 1F. Nothing has and ever will stop Harry from achieving the full potential he can. 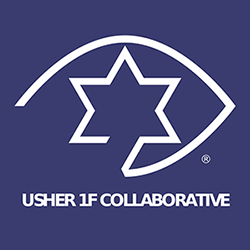 Not only do we see through the Coalition how children and adults with Usher Syndrome and Usher Syndrome 1F can achieve so much and lead such fruitful and fulfilling lives, but we know that there will be ever new treatments available in a small number of years. We also know how normality of ‘new’ treatments turns around at lightning speed once they are approved and deemed safe. The future is bright for this boy and we all know it very well. Harry is in his final year of ‘pre-school’ in Bayside of Melbourne and has a terrific time each day at school with his many friends. He is bright and very funny indeed although he is yet to understand the concept of humour and telling a good joke. Still, his dad is 45 and hasn’t nearly mastered that one either. Who’s to say what a good joke is anyway, perhaps ‘Knock-knock….. Who’s there….. Train….. Train who?….. Train goes over the river to get to the other side of the cinema before dropping edible rocks into the swimming pool…..’ and so on is the essence of good humour. He has a real ability to charm everyone he meets and makes everyone want to know him. He is kind, fun to be around and generous when it does not involve giving anything of his to anyone, especially his two sisters Tess (12) and Alice (9)!! The teams at the Cochlear Implant Clinic and the Centre for Eye Research in Melbourne adore this boy and much work and fundraising is about to commence at the CERA with this lad in pole position. We are all here and determined to do ourselves out of a job in fundraising and research into a cure for Retinitis Pigmentosa and Usher Syndrome. Having this happy and buoyant boy with us makes us very happy as a family and consistently determined. Harry, you really do inspire us Fellers and we could not love you any more…..